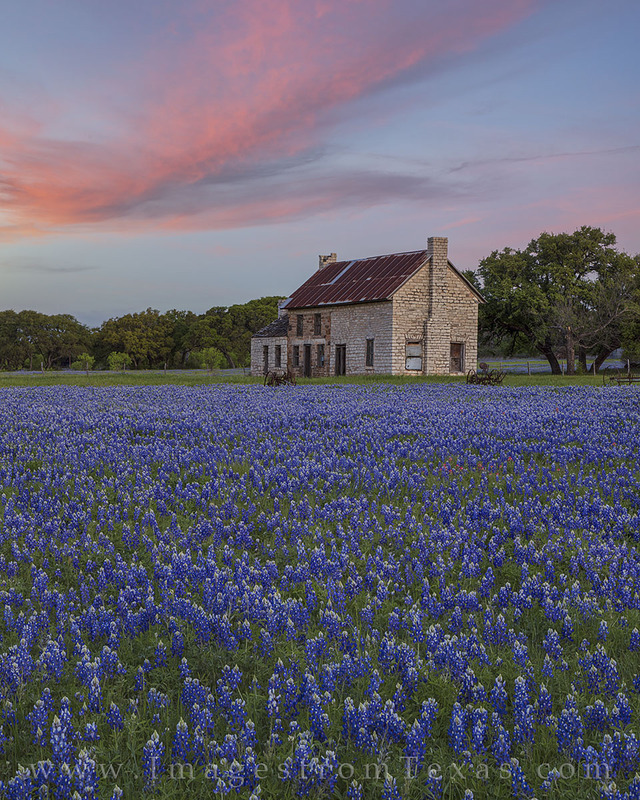 Bluebonnets seem to be everywhere as they surround the famous "blulebonnet house" near Marble Falls in the Texas Hill Country. Overhead, soft clouds bring an ending to a perfect spring evening. Photo © copyright by Rob Greebon.